LEDGlow’s Yellow LED Golf Cart Underbody Light Kit creates a unique yellow underglow to any golf cart using (4) 24” flexible tubes, a control box and wireless remote! 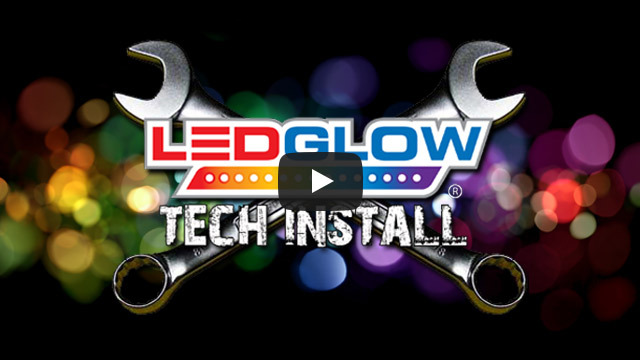 LEDGlow's Yellow Golf Cart Underglow Kit features 84 SMD LEDs housed in (4) 24” tubes that are installed to the undercarriage of any golf cart. The all new wireless remote allows you to select from a collection of modes that include solid color illumination, 3 fade modes, 3 strobe modes and a sound activated mode that reacts to the music playing from your golf cart using the built-in microphone. The wireless remote features an operating range of 50’ giving you more than enough area to control your kit while on the green or campground. The included control box features 4 ports with positive (+) and negative (-) terminals for easy installation of the power and ground wires of each underbody tube. Each flexible underbody tube is manufactured from extremely durable rubber and features 9’ of wire that connects to the control box. Featuring an ultra-thin design, each tube measures at 0.4” in height and 0.6” in width. This kit comes included with all the necessary mounting hardware, such as self-tapping screws to mount the tubes and control box, as well as zip ties to secure any excess wiring. The control box is powered by any 12 volt battery system and a voltage reducer may be necessary to safely power the underbody lights from your golf cart’s 15-60 volt battery. This add-on accessory features input and output wires that are to be installed to the battery and the golf cart underbody lighting kit's control box.